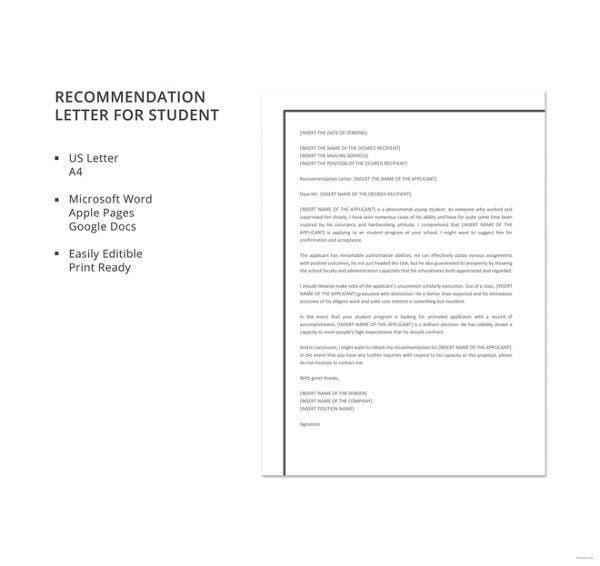 A Recommendation Letter is basically a form of writing that recommends a person depending on the purpose that it may serve. 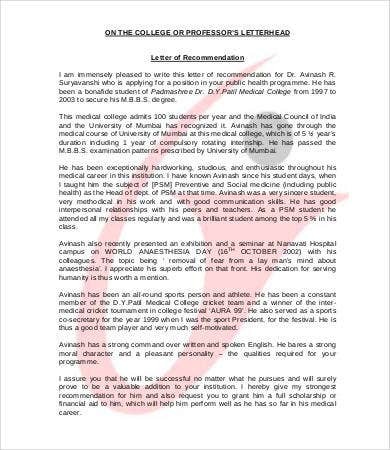 A letter of recommendation includes all the positive aspects, characteristics, and behavior of the person to whom the letter is written for. It is written by someone who knows the person and has had a professional relationship with him or her. 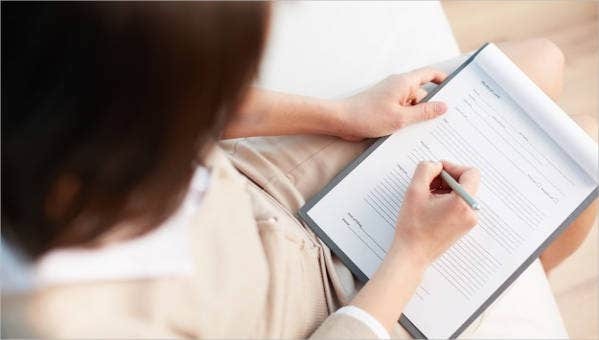 Students can make use of a personal recommendation letter for a lot of purposes since it is them who mostly need recommendations for the endeavors that they are to face especially if it is a part of their learning curriculum or extra curricular activities. 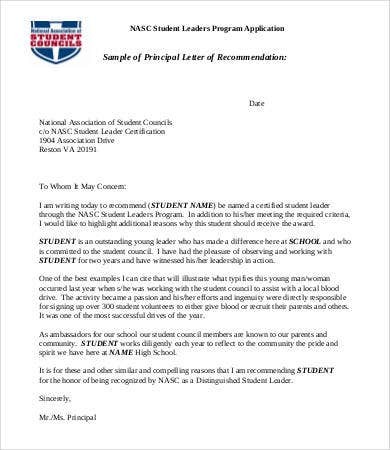 Students need a letter of recommendation should they want to apply for a scholarship. Aside from their grade records, it is also important for the selection committee of a scholarship grant to give it to someone who truly deserves it. 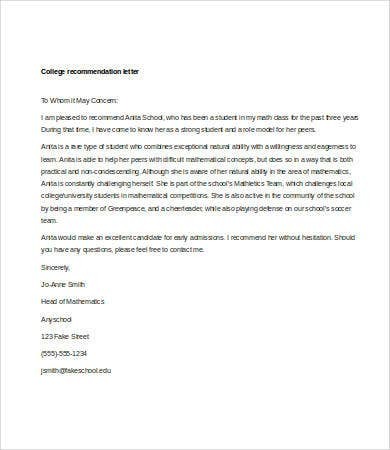 It is suggested that this kind of recommendation letter be written by a past professor or a teacher on major subjects as they know the academic performance of the applicant and how he or she has been dealing with all school requirements and activities. Our Letters of Recommendation for Scholarship sample is available for download. Graduate schools also need a letter of recommendation. Applicants for a graduate study need to prove that they are academically equipped and that they can have advanced studies in a specific field or area that they want to practice. 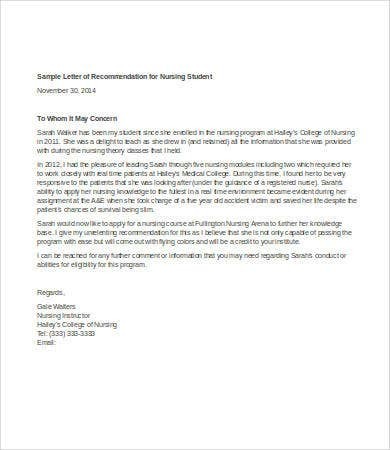 Usually, it is needed to present two or three letters of recommendations to a Graduate School. This may come from a college professor, the thesis adviser of the student applying for graduate school admissions, and/or the past and present supervisors or managers of the company where the applicant have worked at. You may download our Letters of Recommendation for Graduate School and use it as a reference. Letters of Recommendation for Internship are required by the company where he or she would like to render service. 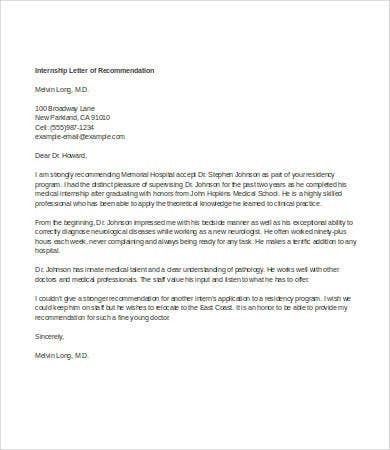 Since a student still does not have any professional and work experience, a letter of recommendation will allow his or her possible company for internship to see that the skills and knowledge written in his or her resume is backed up by a document written by a person who believes that he or she is capable of doing the job functions that the student is required to do during the entire duration of the internship. Student Council also needs this document as those who will run for a post needs to have a balanced academic and co-curricular life. 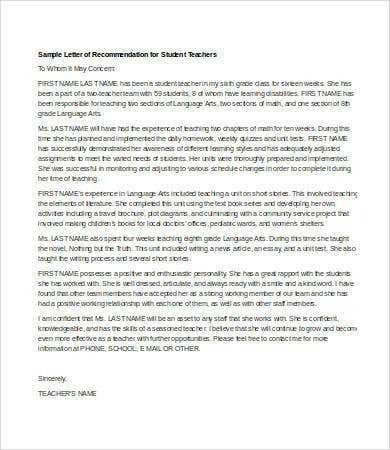 A letter of recommendation from an adviser will truly help as it will assure the committee that a specific candidate can do the works of a student council member while ensuring that he or she is taking care of her grades and academic records as well. Letters of recommendation are important as it will help people to understand why you deserve the post that you are targeting. It is of an advantage to always be at your best so that people will have great things to say about you.